In order to stay motivated and on task, we have to set goals for ourselves. Whether they are career goals, relationship goals, or fitness goals, they require time, patience, preparation, and a plan. This Fall I’m looking to improve my cycling endurance, gain strength, and shred a little more fat. I devised it using Google Drive Spreadsheets. I used IIFYM calculator, also known as If It Fits Your Macros. 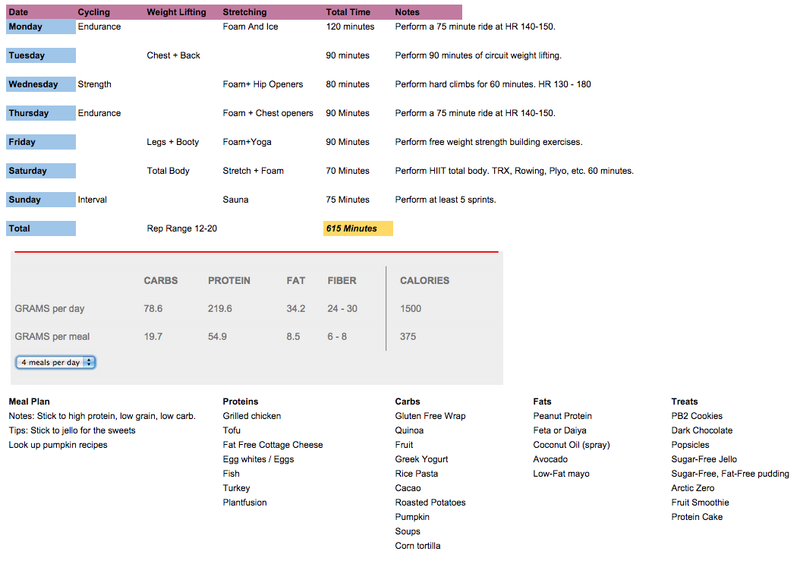 They have a great Fat Loss Calculator along with their famous macros calculator. According to IIFYM, if I want to lose 4% more body fat, I will have to eat 1500 calories a day, train 6 days a week, and stick to my plan for at least 5 weeks to see results. If you want to get serious about athletic performance, you need to focus on correct macros. The best way to acheive your goals is by seeing a trainer. Don’t haphazardly go about fitness. If you want more flexibility, make a plan for it. If you want awesome back and arms, then work for it. If you want less love handles and more definition, then plan it out. You can come to me for a FREE fitness assessment and I’ll help you get started. If you want to know more about acheiving your goals, please contact me today. PS: Fall may be here but that is no reason for your efforts at the gym to fall as well. Stay strong and healthy year-round, even on holidays! If you want fitness to be your lifestyle, and if you want to stop “starting over,” then stop giving up! 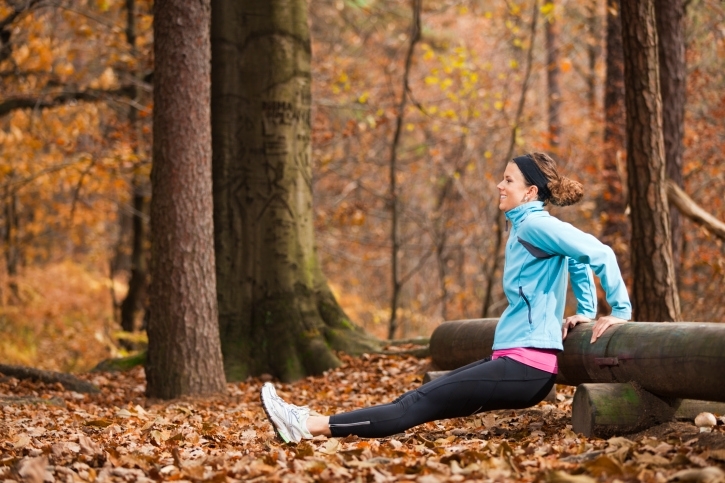 Just because it’s Thanksgiving doesn’t mean you have to skip your gym day or take a WEEK off! Let your mind rest from work, but keep your body healthy and well.